""Keith and Jenn were amazing. As first time home buyers we were a nervous wreck, but Keith and Jenn helped us and was there every step of the way. I would recommend them to any and everyone. They made us feel like family and we are very thankful for that. "" ""Great team that really went over and beyond, punctual, well versed on the market, made commitments and over delivered. Really knew how to work through others (buyers, agents, inspectors, title co. Etc) to get things done promptly. Hands down best realtors I've ever worked with on both sides of the table (buy and sell)!"" ""We can't praise Keith and Jenn enough for their time and efforts in finding a new home for our family. We are new to the area and had many questions about schools, utilities and amenities. If Jenn and Keith didn't know the answer they investigated and were quick to communicate a response. 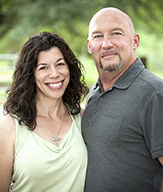 If you want realtors who are honest, hard working and knowledgeable - contact Jenn and Keith."" ""Keith and Jenn exceeded every expectation we had for a realtor. We were moving from Portland, OR to Slidell and knew that we wouldn't be able to explore properties in a conventional manner. Team Brown FaceTime'd multiple properties and handled our whole purchase remotely. My wife and I relied on their expertise and had to trust their realty wisdom. In the end we were guided to a and purchased the (seriously) perfect home for our family. I'd recommend them again and again. They're not afraid to steer you away from a property when it needs to be done. They're going to get you where you want to live!"" ""I can't say enough great things about the agent. I'll just say, if you served this country and want an honest agent, Keith is your guy. Throughout the entire process, Keith made sure I understood everything before I signed any documents. My house was listed for 10 plus months by a less experienced agent. Once Keith became my agent, less than 2 months I received a fair offer and my house has been sold. To my fellow service members, don't waist your time with anyone else, Keith takes care of his own. Thanks Keith."" ""We lived in our home for 30 years so it had been a very long time since we sold a home. We had no idea where to begin especially since so much changed with real estate in 30 years. Keith is very knowledgeable about rural real estate. He sold our home in one month! His enthusiasm and positive energy helped us through the really stressful times. I would highly recommend Keith to anyone looking to buy or sell a home."" ""Keith was very professional and very knowledgeable about the area that we were looking for a new home. He found a home for us that matched all of the parameters we talked to him about. My wife Teresa and I highly recommend him to anyone looking for a home on the Northshore."" ""My husband, and myself couldn't have chosen a better person to help us. Whatever questions, or concerns we had Keith had an answer, or was more than willing to get it for us. When we first went to look it happened to be right before Thanksgiving, and he showed us homes the day before. Keith helped us to get the home we were looking for, and also is an agent that will definitely work for his client/clients. He's very professional, but also becomes a friend of the family in the process. We are so thankful for the advice, and help provided by Keith."" ""Best Realtor I have ever worked with and very caring! Always returned calls, texts and emails right away and spent as much time as we wanted looking at our new home!"" ""I really can't recommend Keith enough. He went above and beyond the call of duty to help me get my house. My first home buying experience was smooth and easy thanks mostly to Keith. He is an exceptional realtor."" ""Keith is familiar with selling houses in the area, one of the best real estate agents I've worked with. He also helped me once I bought my home. Keith also provided me with contacts for the few things I needed fixed."" ""I loved my experience with Keith Brown! He worked very hard to sell my house and he was very knowledgable about all the things necessary to sell my house in the country, which I was in great need of. He has a wonderful positive energy, also."" ""Keith is awesome! He walked us first time homebuyers through every step and we continue to communicate today! He has the knowledge needed to get his job done. If Keith doesn't have the answer he will get it. He is honest and very hard working. Buying a home has it ups and downs and can be very emotional- Keith rode the waves with us......he never let us down! He knew what our family needed and he didn't stop looking till we found the right home for our situation! If and when I decide toby another home I will be calling on Keith Brown for sure!"" ""Keith helped us find, and purchase, the most amazing waterfront property! It was exactly what we were looking for, and my husband and I could Not have been any happier with the property, the experience with the sellers, and the overall transaction -- and it was all because Keith was our agent!! We will definitely use him again for any future sales/purchases on the Northshore, and we highly recommend him to anyone else looking for a GREAT real estate experience."" ""I am so glad that I listed my property with Keith. He enthusiastically advertised the property for sale. He even provided potential financing information to prospective buyers. He kept in touch regularly, and was encouraging. He was very Knowledgeable about the locale property. He inspired confidence during negotiations after an offer was rendered. It is apparent that he enjoys helping his clients, his customer service is excellent, and his expertise was made obvious during all of our transactions. I would heartily recommend him to others""
""Once Keith helped us find the home we wanted to buy. He worked diligently to get us to closing and he did. We were in the phase of the repair response by the seller and they did not agree to repair as stipulated. We decided to cancel our contract. Keith immediately saw to it that we received our deposit back as soon as possible. When we are ready to look at houses again, Keith is the realtor I will call and I highly recommend him to other home buyers.""